Researchers at the University of Bristol have made a breakthrough in silicon quantum photonics. 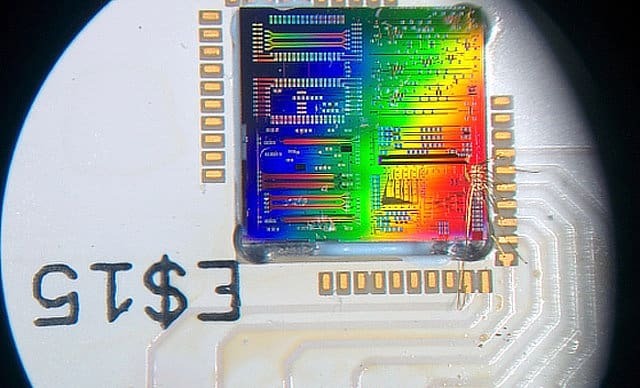 They have developed a new type of on-chip detector capable of measuring quantum mechanical behaviour within the integrated chip architecture. The innovative detector is able to produce quantum random numbers at a rate of 1.2 Gbps, by measuring the vacuum state of the electromagnetic field and applying offline post processing. As PhD student Francesco Raffaelli explains: “The ability to generate truly random numbers with a machine, without any bias, is actually a very difficult task. The homodyne (single frequency) detector on a silicon photonics chip operates at high-speeds (up 150 MHz) with low noise (11 dB) which is what allows the detector to be integrated into the chip. Giacomo Ferranti another PhD student on the project adds: “The great thing about the detector is that it works at room temperature. A lot of single photon detection requires cryogenics at ~4 Kelvin” (-270 ˚C). Researchers at Bristol’s £50 million Quantum Engineering Technology Labs (QETLabs) are also working in an international collaboration with Microsoft, Google, Imperial College, Max Planck Institute and the Sun Yat-sen University on a new algorithm to solve the energy structure of quantum systems on quantum computers. They have tested this algorithm on the same silicon quantum photonic processor that the team used for the homodyne sensor. The new algorithm is capable of finding the excited-states of atoms in new ways that cannot be done on classic computers. This is providing a new way of studying physics and chemistry at the molecular level that could lead to new materials for high-tech equipment. “Expanding the toolkit for excited states is crucial if we want quantum computers to make meaningful contributions to important areas such as solar cells and batteries,” says Jarrod McClean from Google’s Quantum AI Lab. “We successfully tested the protocol for a proof-of-concept case in a silicon quantum photonic chip, showing its applicability to simulate more complex systems in realistic short-term quantum devices,” adds Dr Jianwei Wang from the University of Bristol.